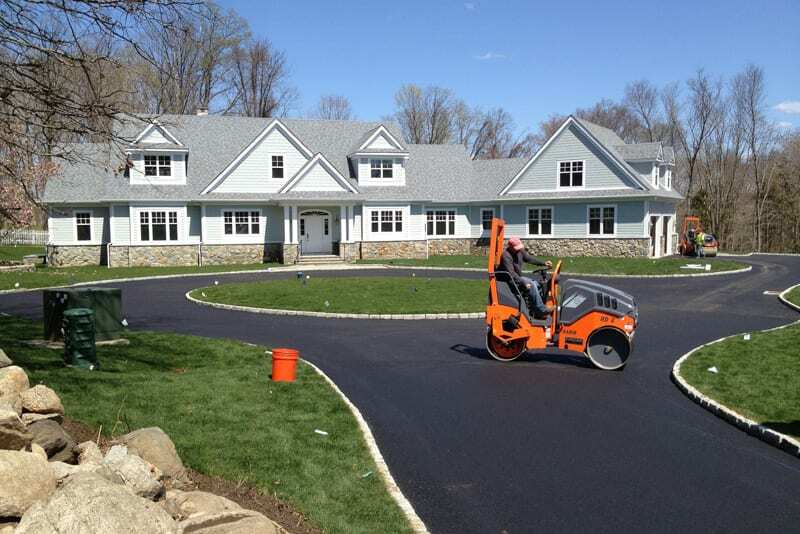 Greenway Industries proudly serves the entire Fairfield County region with professional paving services. Our company is completely insured and licensed, and our reliable services are available to both Fairfield County homeowners and companies at affordable prices. Our projects are complete with the most current and up to date equipment, helping us provide you with a variety of services. We can build an entirely new structure for your Fairfield County property or repair and repave an existing structure. We specialize in providing paved driveways and parking lots for our residential paving services. We also have a clean-up crew to make sure your property is clean and tidy after the job is complete. 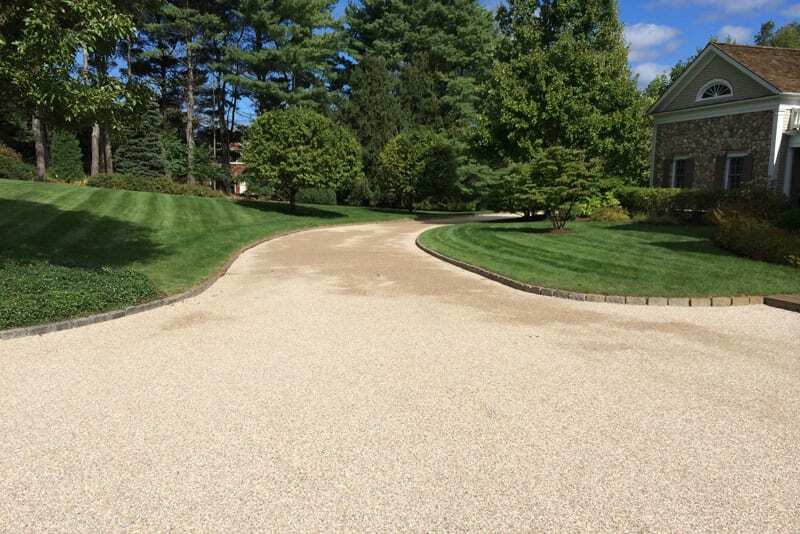 Greenway Industries can help your Fairfield County home have a classic and professional East Coast look with our oil and stone driveways. It adds a sophisticated look to your property with all of the functionality of a driveway. We offer inspection and consultation to see if your property is right for an oil and stone driveway. 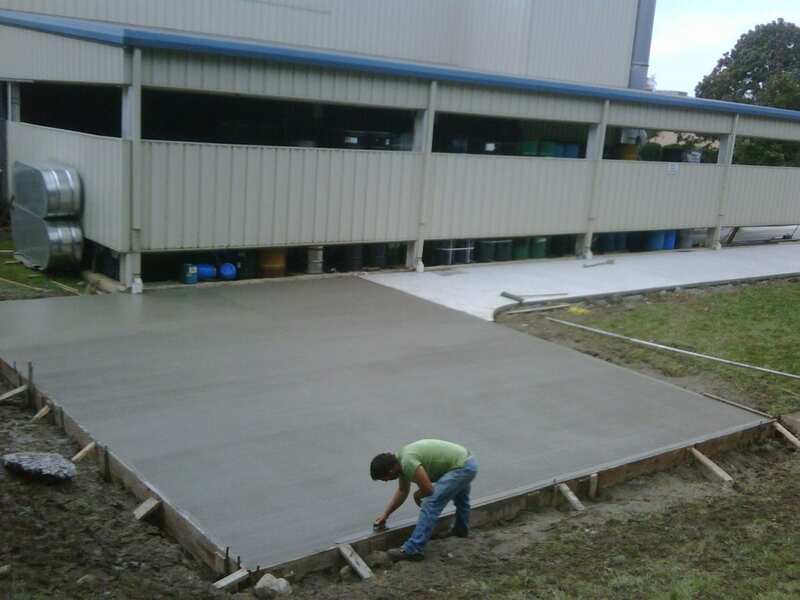 Thinking of getting a new driveway can be daunting, but Greenway Industries is here to make it easier. 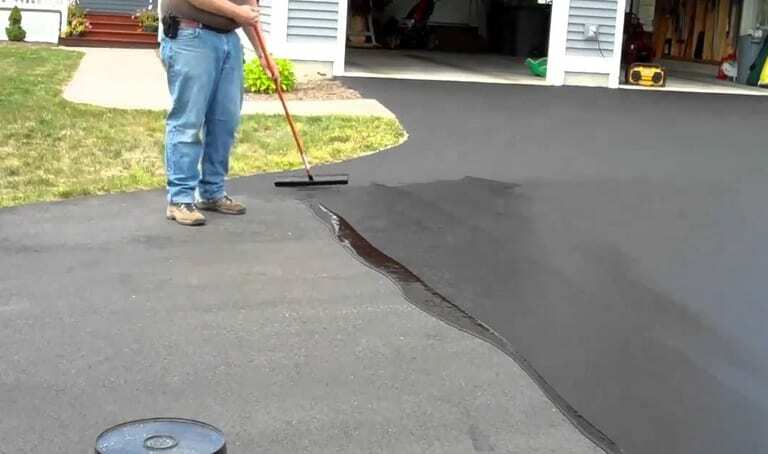 We don’t have to tear up old driveway, but can use our infrared asphalt to repair existing asphalt. This method seals damages and cracks, giving you pavement that looks new without the unnecessary hassle. When it comes to pavement and driveways, proper damage is essential. 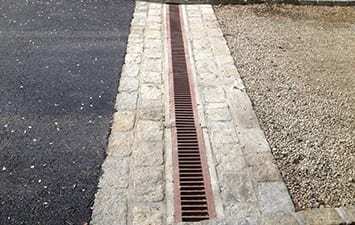 Without drainage, damage can easily occur and costs can quickly add up. Our drainage installations can minimize cracks on the surface, preserve foundations, and even decrease the formation of black ice. 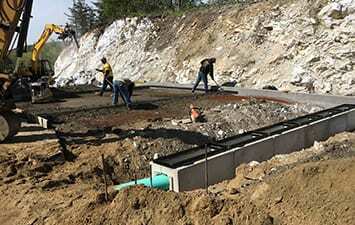 Our drainage systems are viable for existing structures or can be added for new projects. Parking lots can say a lot about a company or industry. It is often the first thing clients and customers encounter, and first impressions are important. If damages occur, such as cracks and potholes, it is time to stop putting off the repairs. Greenway Industries is here to help your Fairfield County with timely fixes to avoid further damages and give you the paving and asphalt services you need. Our asphalt milling is an effective and cost-efficient option for your Fairfield County business. It repairs your paved surface by removing the top layer while also leaving the foundation intact. 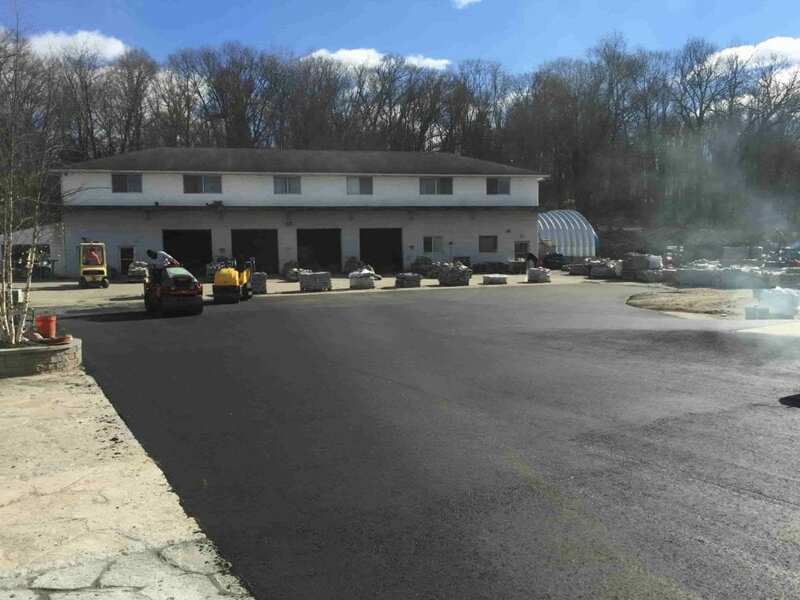 We provide a fresh layer of pavement on top, giving you a positive and inexpensive repair to your Fairfield County parking lot. Over time, asphalt pavement can reach its end. Greenway Industries offers asphalt reclaiming to make the most of your paved area. Through this method, we remove, collect, and then crush the asphalt. This is then added to foundation of the pavement. Asphalt reclaiming can help reduce landfill waste and greenhouse gases. It is an eco-friendly way to get the asphalt pavement you are looking for for your Fairfield County company. When it comes to paving and laying asphalt, fine grading is an essential step for a quality finished product. 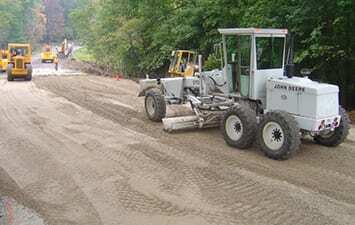 Greenway Industries makes sure that fine grading is done properly for your Fairfield County project. We follow our schedule strictly and look to give you the most cost efficient service available. It is not uncommon for parking lots of driveways to sustain a little damage. But just because it is normal does not mean that you have to live with it. Greenway Industries is proud to provide quality repairs to your pavement and adds years to its life. One of the most effective methods for increase the lifespan of a paved area is sealcoating. Sealcoating adds a protective layer on top of your driveway or parking lot, giving it a fresh look while also protecting them from the sun, wind, and water. An added feature of sealcoating is the texture that it provides. This texture gives more grip on the driveway, helping cars remain stable and prevent pedestrians from slipping on rainy days. Fairfield County can go through some rough winters, and these winters can increase cracks in driveways. Water can settle into asphalt, and through repeated freezing and thawing, cracks form. Greenway Industries can fill these cracks to not only repair the damages, but prevent further harm. Greenway Industries is here to give you the services you are looking for. In addition to paving and repairs, we also do customized masonry and concrete work. 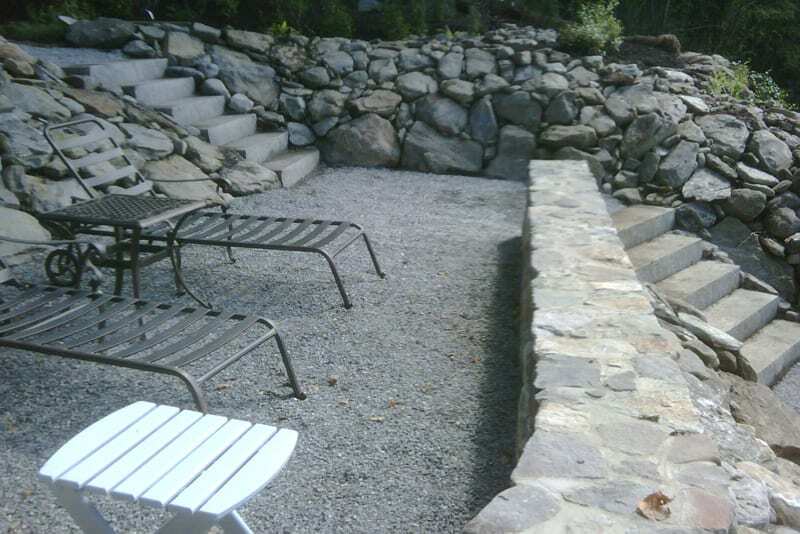 Our flatwork and attractive stonework can bring your vision of your Fairfield County property to life. We offer a professional masonry designer who can help in the creation of your masonry project, giving consultation on sonte materials and the design you are looking for. We work within your budget to give you customized walkways, steps, and walls for your Fairfield County property. 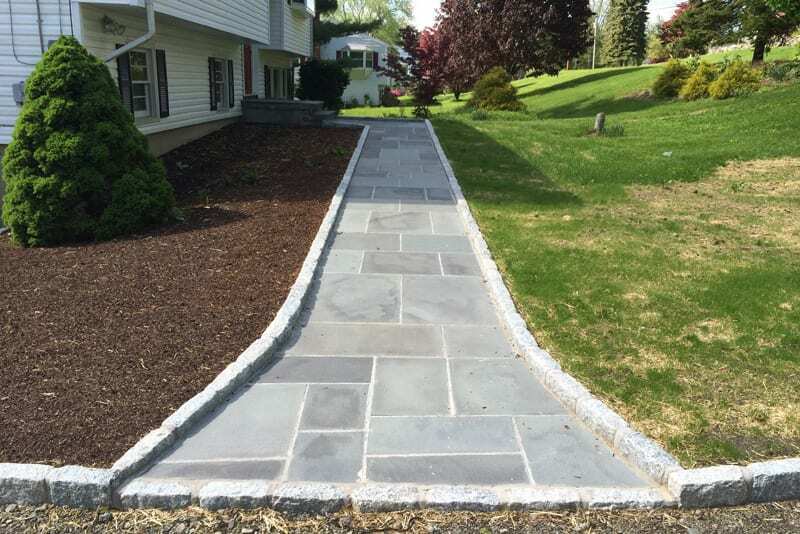 Greenway Industries provides concrete flatwork for both residential and industrial clients within Fairfield County, CT. Our services are applicable for sidewalks, curbing, patios, and various walkways. If you have a project in mind, give us a call today to receive an estimate and consultation. Our concrete work is reliable. It is strong and ready to stick around for as long as you want it. We understand the importance of having quality pavement, concrete work, and other masonry services. Greenway Industries is dedicated to giving you a positive experience with our services and the final products. We help our Fairfield County with affordable options. Our company is insured and licensed by the state, eliminating unnecessary risk when working with us. We are here to help with your project from start to finish. If you are looking for guidance, consultation, design suggestions, or more, give us a call today at 203-664-5902. From slight repairs to entirely new structures, Greenway Industries is the right choice for you!